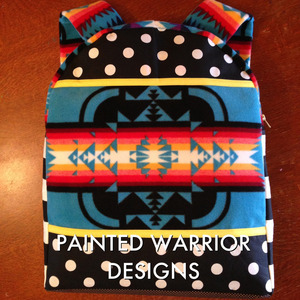 This ultra-cool Painted Warrior BackPack was designed and made by Kevin Duncan (San Carlos Apache / Arikara/Hidatsa/Mandan). 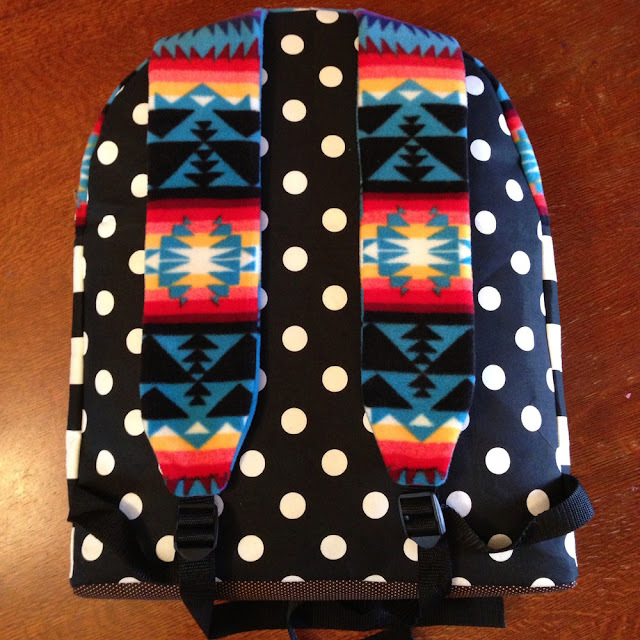 It features sky blue patterned fleece, black and white polka dots, and yellow trim. The backpack measures approximately 19" x 15" and 3" in depth. SORRY BUT THIS BACKPACK IS CURRENTLY SOLD OUT AT THE MOMENT, here is where you can get one when they are back in stock.